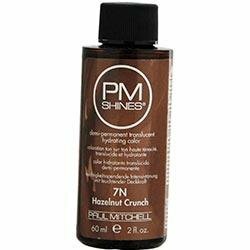 Paul Mitchell Shines 7N (Hazelnut Crunch) 2 oz. 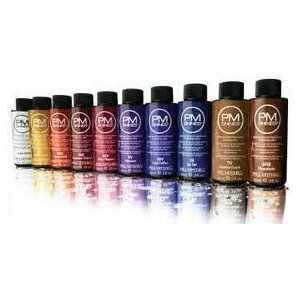 PM Shines Translucent Hydrating Color is a deposit only, ammonia-free demi-permanent hair color. It consists of 32 intermixable colors, 11 different tonal bases, and a Clear Shine which can be mixed with the total color palette to create a multitude of colors. Paul Mitchell Shines 1B (Jet Set) 2 oz. 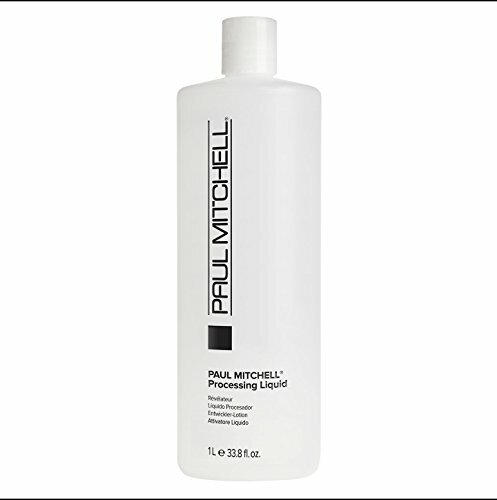 Paul Mitchell PM Shines Demi-Permanent Hair Color 2oz (1B) Jet Set Jet Set It is a gentle ammonia-free easy-to-use liquid gel formula coupled with conditioning agent from meadowfoam seed helps repair damage and intensify surface shine. IHC - Intense Hydrating Complex penetrates deep into the hair shaft, for intense hydration while helping to replace lost amino acids. PM Shines will last up to 4-6 weeks and will fade on tone. The included soy protein adds strength, improves manageability and enhances hair texture. The UV Absorbers in this hair color help reduce environmental damage. Clean fragrance offers a pleasant hair coloring experience. Paul Mitchell Shines 5N (Chocolate Syrup) 2 oz. Paul Mitchell PM Shines Demi-Permanent Hair Color 2oz (5N) Chocolate Syrup Chocolate Syrup It is a gentle ammonia-free easy-to-use liquid gel formula coupled with conditioning agent from meadowfoam seed helps repair damage and intensify surface shine. IHC - Intense Hydrating Complex penetrates deep into the hair shaft, for intense hydration while helping to replace lost amino acids. PM Shines will last up to 4-6 weeks and will fade on tone. The included soy protein adds strength, improves manageability and enhances hair texture. The UV Absorbers in this hair color help reduce environmental damage. Clean fragrance offers a pleasant hair coloring experience. What it is: PM SHINES are grouped into eight different tonal bases and one clear base. What it does: ithin most of the tonal bases, there are three categories of color to choose form: Light-level 9, Medium-level 6 and Dark-levels 3-1. What else you need to know: PM SHINES is mixed with a designated Processing Liquid that provides precise tone and deposit. 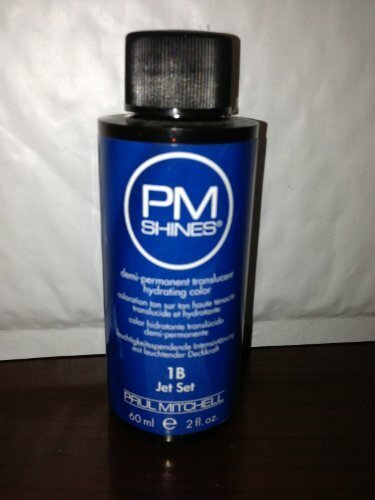 PM SHINES will last up to 4-6 weeks and will fade on tone. 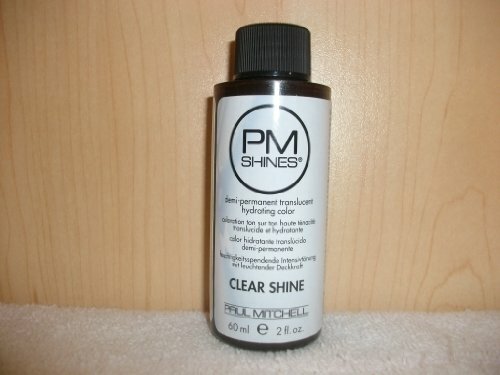 Paul Mitchell Pm Shines Clear Shine 2 Oz. Paul Mitchell PM Shines Demi-Permanent Hair Color 2oz (3A) Starry Night Starry Night It is a gentle ammonia-free easy-to-use liquid gel formula coupled with conditioning agent from meadowfoam seed helps repair damage and intensify surface shine. IHC - Intense Hydrating Complex penetrates deep into the hair shaft, for intense hydration while helping to replace lost amino acids. PM Shines will last up to 4-6 weeks and will fade on tone. The included soy protein adds strength, improves manageability and enhances hair texture. The UV Absorbers in this hair color help reduce environmental damage. Clean fragrance offers a pleasant hair coloring experience. Paul Mitchell Shines 9A (Shooting Star) 2 oz. Paul Mitchell PM Shines Demi-Permanent Hair Color 2oz (9A) Shooting Star Shooting Star It is a gentle ammonia-free easy-to-use liquid gel formula coupled with conditioning agent from meadowfoam seed helps repair damage and intensify surface shine. IHC - Intense Hydrating Complex penetrates deep into the hair shaft, for intense hydration while helping to replace lost amino acids. PM Shines will last up to 4-6 weeks and will fade on tone. The included soy protein adds strength, improves manageability and enhances hair texture. The UV Absorbers in this hair color help reduce environmental damage. Clean fragrance offers a pleasant hair coloring experience. 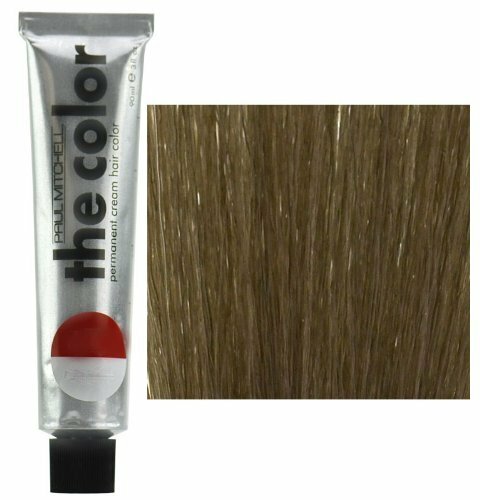 What it is: This dye by Paul Mitchell contains natural conditioners that provide long-lasting, healthy, natural looking hair color with outstanding shine and condition. 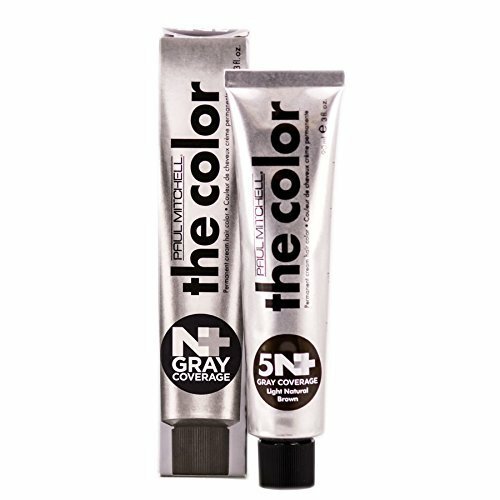 What it does: The Color can help you lighten, darken, or maintain your current hair color in a few easy steps! What else you need to know: The Color is a low ammonia, permanent cream hair color that can be used as a permanent, demi-permanent or semi-permanent hair color. 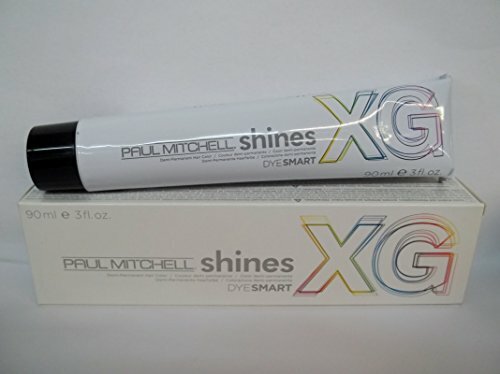 Compare prices on Paul Mitchell Shines Hair Color at ShoppinGent.com – use promo codes and coupons for best offers and deals. Start smart buying with ShoppinGent.com right now and choose your golden price on every purchase.